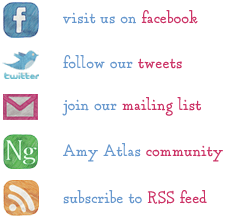 I was really touched by all of the “AMY ATLAS MOMENT” emails that we received after this post. We are still sorting through them all and will start to link up to them shortly. In the meantime, here is one of the Amy Atlas Moment emails that came in from Susana & Clara of Dulce Sobremesa in Valencia, Spain. I just love that little elephant with the balloon and the colors just jump of the page. Notice how white a big part of this party is, a design principle that I always like to employ. It keeps the sensibility airy and uncluttered. Like any elephant with a great memory, I’d say the birthday boy will not forget this party. I’m honored that this was your Amy Atlas Moment, ladies! Keep them coming guys. We truly love seeing them. 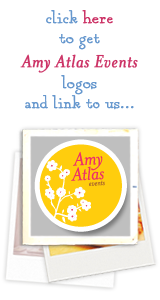 Check out how to pick up your Amy Atlas badge and get linked on our blog here. Last, the winner of the United Cakes of America book giveaway is Laurie Underwood. We will email you to get this great book out to you! Balloons, Elephants, First Birthday, Red and Blue.